BRAKES, TUNE-UP & MUCH MORE! Typically Power Steering service includes wheel alignments, shock and strut repair and front and/or rear suspension repair. Rotating tires may also be necessary. Also known as a sway bar, the stabilizer bar is an important component responsible for keeping your car from rolling over while turning. The shock absorber keeps the ride smooth, the stabilizer bar keeps the car upright when it is turning by spreading weight equally over the tires. The power steering service is critical to the safety of your overall drive experience, as well as keeping your vehicle driving smoothly. The brake system is your vehicle's most important safety system. 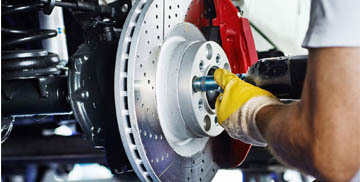 It is never wise or cost-effective to delay routine brake inspections or postpone any needed repair. When your Radiator begins to fail your temperature gauge will start to read extremely high. When this happens visit a local Econolube immediately to avoid more damage. 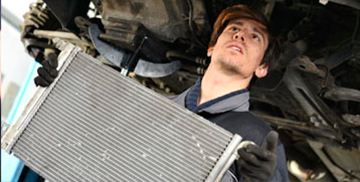 It is vital for an engine to undergo regular maintenance and repairs in order to keep it running efficiently. 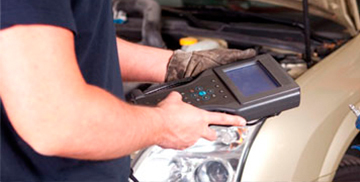 Technicians can help you with all of your auto repair and engine needs. 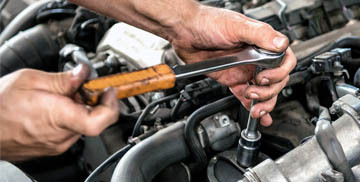 Econo Lube provides competent automotive repair and maintenance, such as oil changes, brake service, and much more, but also allows you to "GO GREEN" by now also offering RE-REFINED OIL CHANGES.